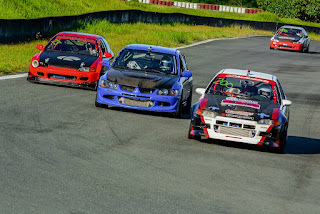 The country’s premier grassroots motorsport event, the GT Radial FlatOut Series (FORS) got off to a good start as they kicked-off the much-awaited 2016 season last March 5 at the Batangas Racing Circuit (BRC). Running the full 3.7 km long course, round 1 saw a strong field of 50 drivers compete in the Time Trial challenge and Grid races. This included a lot of familiar faces, defending champions, and good number of FORS first timers, allowing for a good mix of on-track action for the season opener. Adding the list is the new ‘The Perfect Lap’ support class for rear-wheel-drive cars. Bracket A, where you’ll find the fastest drivers, saw JC Baguisa in the JCT Blanche Civic EG hatchback top the time sheets with a fastest lap of 1:49.973, which was 2 seconds clear of his closest rival. That was Dominique Bon in the Honda Civic EK with a 1:52.305 lap, while Eduardo Suiza in the AEM Performance Electronics Civic EG hatchback came in a close 3rd with a time of 1:52.982. In Bracket B, Paul Laurence Tan finished 1st with a blistering 1:56.691 lap in a newly-built GT Radial SX2-shod Honda Civic EG. Jun Cabrera, who clocked in a close 1:56.789, had to settle for second and Ed Christian Go completed the podium with his best of 1:57.445. Such was the pace of the top 3 drivers in Bracket C that they were separated by a mere tenth of a second. Vanni Garcia got the upper hand with a 1:59.206 run to claim 1st. Arturo Pasao’s 1:59.275 best could only get him 2nd and Paolo Lofamia’s 1:59.321 lap earned in 3rd. It’s a similar story in Bracket D where Sherwin Bargos, JP Pacres, and Ryan de Lara were all within a second of each other. But the quickest of which was Bargos with a 2:02.184 followed by Pacres’ 2:02.642 and de Lara’s 2:02.839. Going to Bracket E, 1st place went to Raymond de Pano with a 2:05.363 lap. Close behind were Robert Alvarez in 2nd and Ron Valerio in 3rd who both were only half a second shy of his time. Anthony Richard Lantin’s 2:08.200 lap put him in 1st for Bracket F. Leo Candava won 2nd with his 2:08.639 lap and Lars Alonzo had a 2:08.671 time for 3rd. With a roster of 8 drivers, Bracket G was the biggest of all groups. The fastest of which was Robert Tan with a best time of 2:12.233. 2nd and 3rd places were awarded to Adrian Agcamaran and Nicolas Chen, respectively. Bracket R was a repeat of Bracket A with Baguisa, Bon, and Suiza finishing in the top 3 in that order. Finally, the winners in the support classes The Perfect Lap and Grupo Toyota were John Boban and Gary Singson, respectively. The afternoon Grid Races were full of drama. Top qualifier and Bracket A winner JC Baguisa failed to get off the line when the lights turned green in the GT Radial Grid A race due to a technical problem. This allowed Suiza to capitalize on his misfortune and bagged the top podium spot in the 10-lap race. Unfortunately for Adrew de Asis, he was given a 1 place penalty for causing contact with another car. This dropped in to 3rd, promoting Rafael Nicolo Fernandez to 2nd. In the Smart Fuels Grid B race, Jun Cabrera was able to walk away with 1st place even if he wasn’t the first car to cross the line. Nino Garcia and Paul Laurence Tan, who were ahead of Cabrera, were handed hefty penalties after both drivers broke out of their bracket times and were relegated to 2nd and 3rd, respectively. Vanni Garcia cruised to victory in the Competition Clutch Grid C race with a 15.1 sec advantage over 2nd placer Francis Telan and 3rd placer Paolo Lofamia. Buddy Club Grid D saw the biggest line-up with 8 drivers fighting for a win. 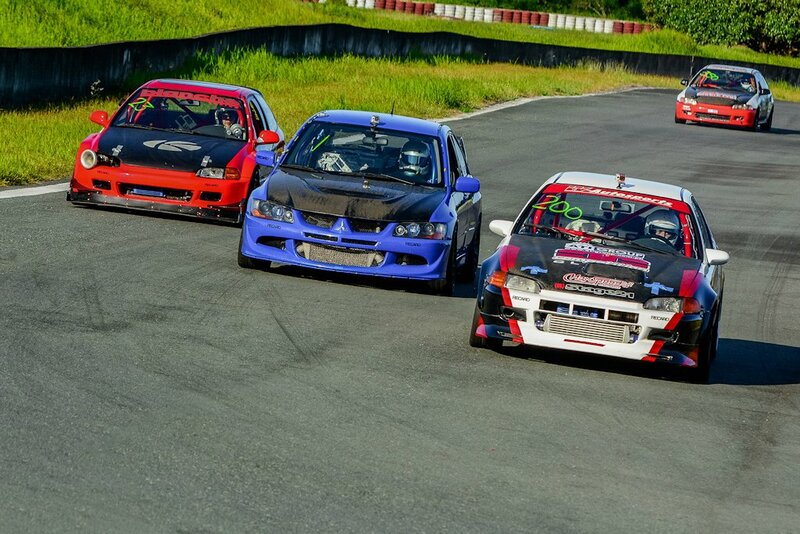 Sherwin Bargos bagged 1st place in the 9-lap race, followed by JP Pacres and Allan Ararao in successive order. Meanwhile, Leo Candava won 1st in the Works Bell Grid E with Anthony Richard Lanting in 2nd and Robert Tan in 3rd. Follow the FlatOut Race Series (FORS) as it heads to the Clark International Speedway (CIS) on April 9, 2016 for Round 2.